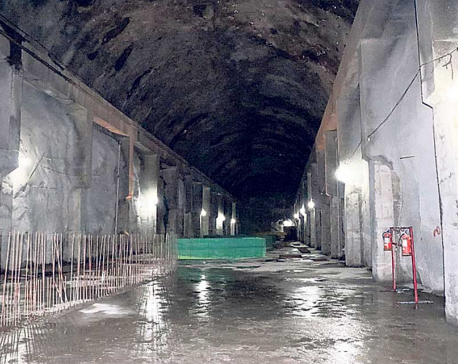 DOLAKHA, April 23: The contractor of Upper Tamakoshi Hydropower Project is beginning the installation of penstock pipes in the lower vertical shaft of the mega hydropower project from May 5. 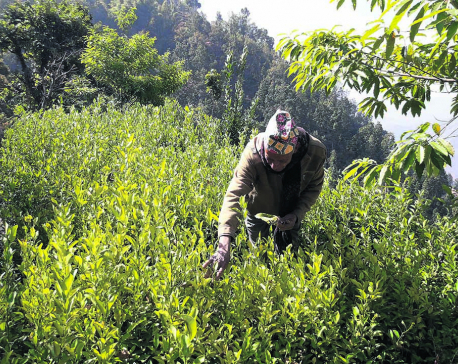 KHOTANG, April 23: Ramnidhi Acharya, a farmer of Yamkha in Diprung Chuichumma Rural Municipality, is making handsome money by producing saplings of different fruits and spices in his nursery. Staying within the country, he has set an example for other locals who keep saying that there is no opportunity in village. 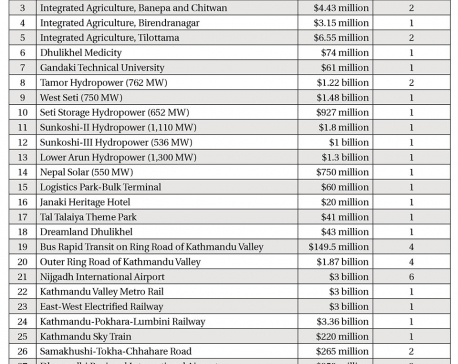 KATHMANDU, April 23: The government has set standards on registration of new savings and credit cooperatives amid concerns about their growing concentration in urban areas. KATHMANDU, April 23: Ncell Private Limited has challenged the capital gains tax assessment made by the Large Taxpayers Office, at the Supreme Court on Sunday. 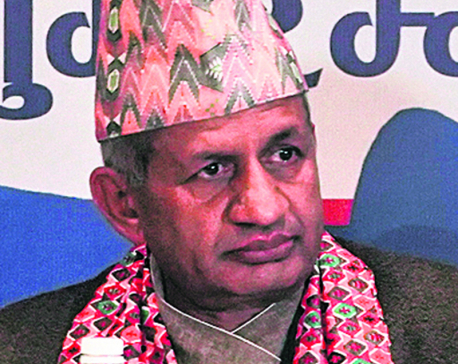 KATHMANDU, April 23: Dismissing suggestions that Nepal could fall into a Chinese debt trap if it chose to take loans under the Belt and Road Initiatives (BRI), Minister for Foreign Affairs Pradeep Kumar Gyawali has said that such suggestions were motivated by bias. 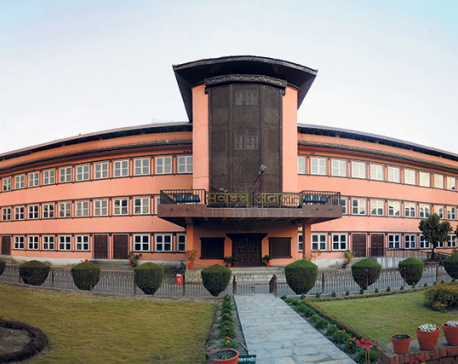 KATHMANDU, April 22: The private telecom company Ncell has filed a writ petition at the Supreme Court on Tuesday arguing that the tax amount determined by the Large Taxpayers’ Office (LTO) earlier last week was not in accordance with the existing law. 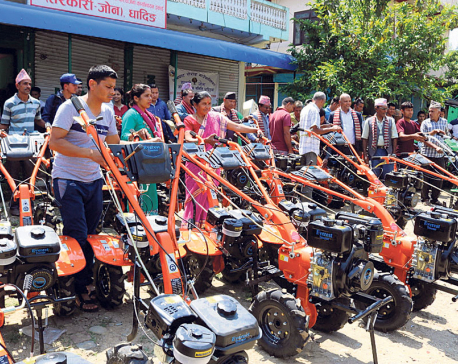 DHADING, April 22: Ram Sharan Tripathi of Siddhalek Rural Municipality Ward-4 in Dhading has been involved in farming for the past 25 years. Farmers like him had to wait for their turn to use oxen for plowing as there were limited number of oxen in the village. He has now bought a mini tiller which has made things lot easier for him. KATHMANDU: Nepali equities continued to see strength as the Nepal Stock Exchange (Nepse) index kicked off the week's trading on a firmly positive note. Nepse traded flat in the initial trading hour but witnessed a steady surge after mid-day. 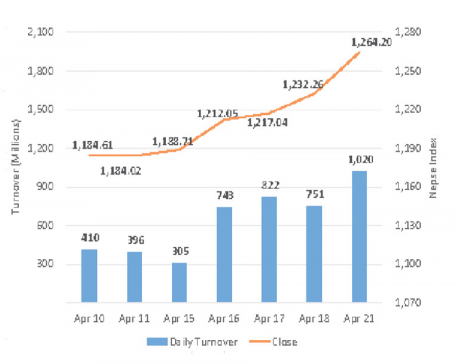 The rally in the day saw the index close at its intraday high of 1,264.20 points – up significant 31.89 points against the session earlier.